So I threw a little party to celebrate the brand new Poms Poms book by Sarah Goldschadt and Lex Walters Wright. There was much fun had. After discussing it with a few people, we decided to make the pom pom hedgehog paper weights on the cover. Hedgehogs are awesome and they are so cute it was irresistible. Everything was in place. My daughter cut several pom pom makers using the pattern at the end of the book out of scrap packaging cardboard. Quirk Publishing was kind enough to provide supplies and give books to each of the party goers so we could have a fun time crafting. I got yarns, and felt in nice natural colors for people who wanted that and blue of course for my daughter. We had donuts and coffee and laughed, went through the book discussing the various projects. I'm absolutely charmed by the big tulle pom pom head band. I told everyone about making the coffee filter pom pom then not being able to resist throwing it at my husband. 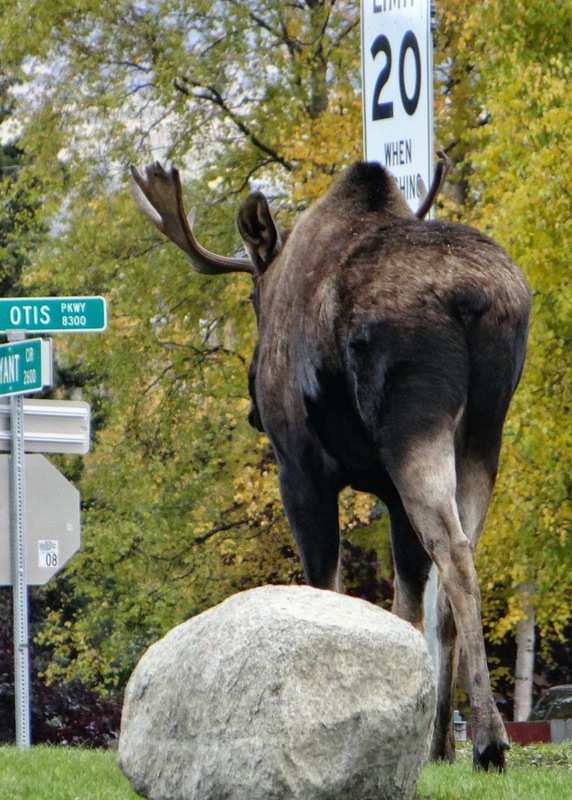 I took TONS of pictures. Of the felt, the yarn, cutting the pom poms, the really adorable hedgehogs. We made small ones, but my friend Teri made a big one with crystal eyes and a shiny crystal tear drop nose that was just made of cute. 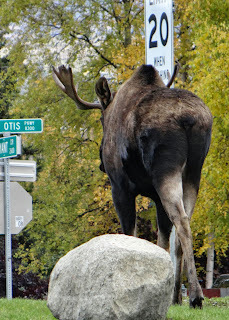 Then I got home, and when I got ready to write this post, I found out that I didn't have a memory card in my camera. That's the big whoops. This amazingly fun time that was just a great break from all the work that all of us have been doing on various things and at our jobs? Yeah, not one photo. 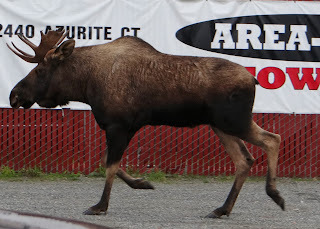 Because I didn't make sure my memory card was back in my camera from when I took the photos of the moose on my way to Michaels to buy supplies to make the hedgehogs. The book includes projects to make all sorts of accessories and decorations. If you've seen tissue paper pom poms and liked them for wedding decor, you'll love the coffee filter ones with a hand dyed effect done with food coloring. 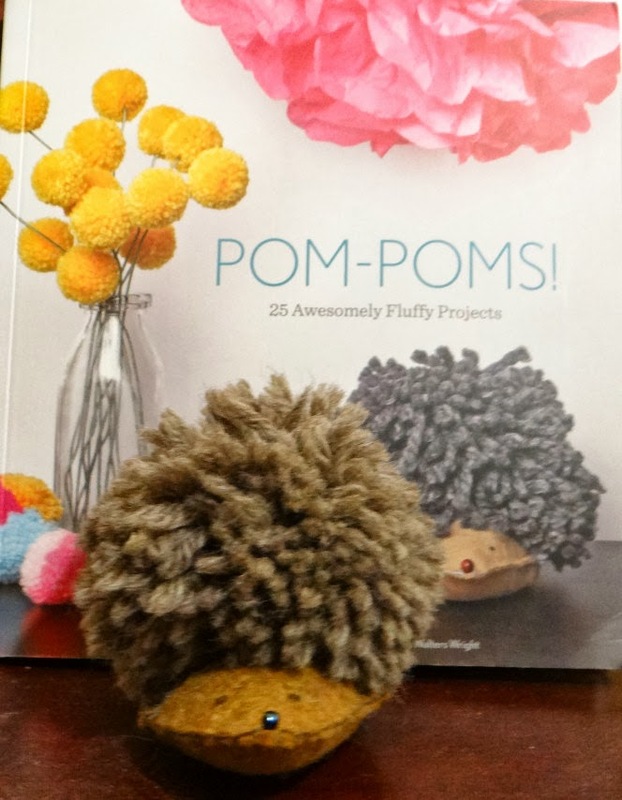 The pom pom hedgehog paperweights are adorable. A scarf made of pom poms is fun and I think a great way to celebrate all sorts of things. You could make them for holidays or to show school spirit. Making them with friends is the most fun and the projects would be good for tweens and on up. 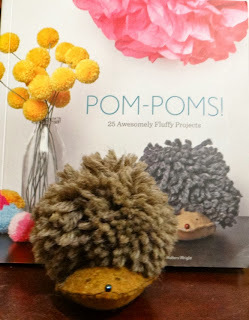 The simplicity of a pom pom, made using a few different techniques works for all sorts of projects and this book will just get you started. Full color photographs and well written instructions along with a complete pattern section including templates to make the pom pom makers make it easy to create the projects shown. No fancy techniques, just lots of fun. Go like Quirk Books on Facebook, and check out the completely free sampler e-books (Quirk Books D.I.Y. Gift Guide and Quirk Books Entertains Your Kids) they have available on Amazon. 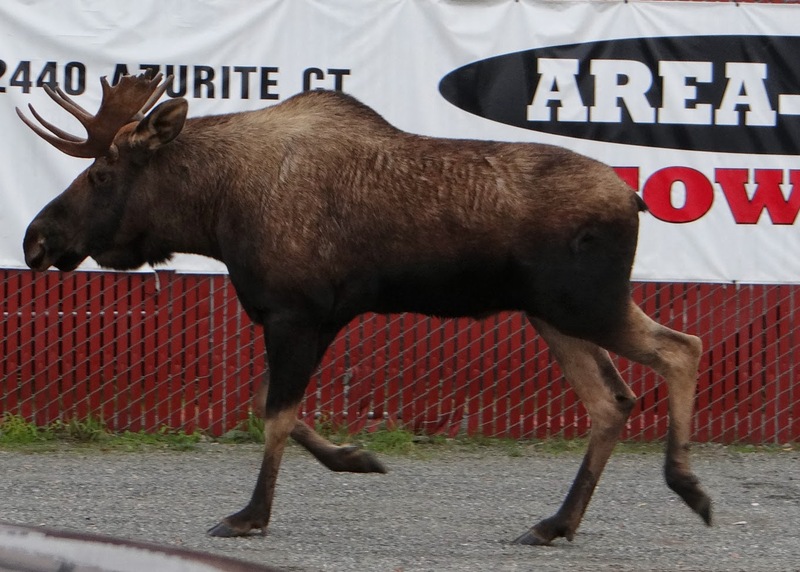 Here are the photos of the moose that caused the whoops. Full disclosure- Quirk Books sent complimentary copies of the book for review purposes and for my party guests. They also paid for the supplies. This is my honest opinion of the book. All Amazon links are my affiliate links and the money that I make from them helps pay for this site and my book addiction. Sounds like so much fun and a great book for a girl who's too old for Barbie, but not ready for lipstick. Thanks for the review!